Bad Blogger Last Night BUT first Ask the Expert Post! I dunno, I just couldn’t get it together to post…was having one of those evenings. BUT, I did get a chance to catch the Husband in action. 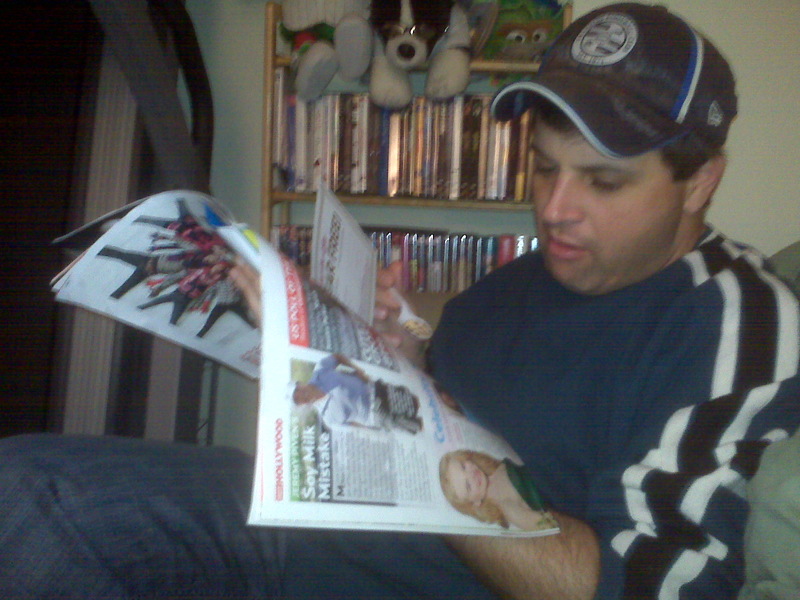 He always reads my trashy gossip mags, and I finally caught him in action! Oh, I knooooow! The Husband SO denies it too! In my defense, if you saw what was on the t.v. while I was reading that (let’s just say it involved women trying on wedding dresses and crying for various reasons), you’d agree that I chose the more respectable alternative. Plus, it had Jennifer Aniston and Angelina Jolie on the cover! Apparently they don’t like each other…how could I ignore that??!?!? !